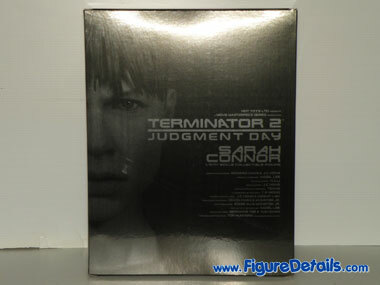 Same as T800, Hot Toys Sarah Conner use the same kind of packing - action figure and all accessories are put in one layer. 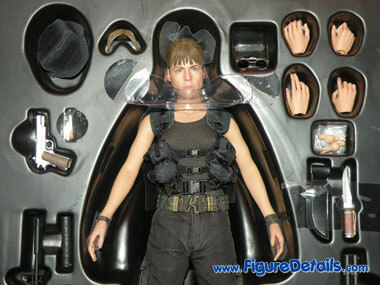 Good thing is Hot Toys makes the same series of figures with same kind of packing. 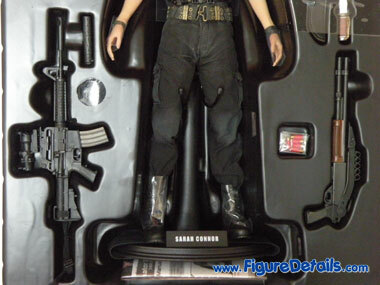 Bad thing is the packing is big, even they can make it smaller. 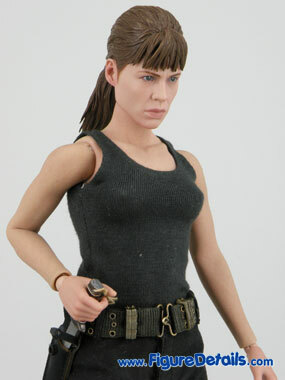 Show you some photos of Hot Toys Sarah Conner. 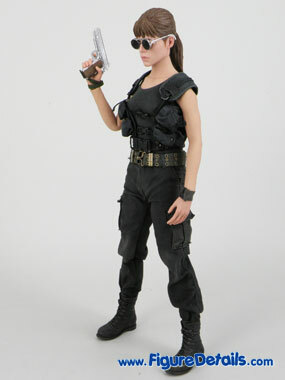 The design and the quality of the cloth are excellent. 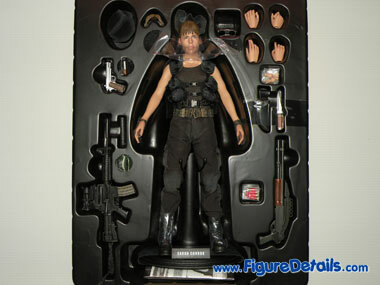 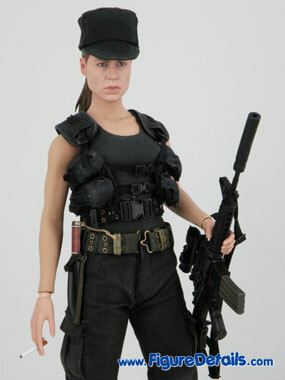 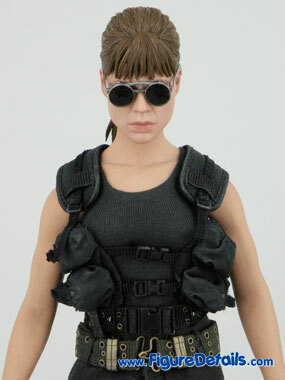 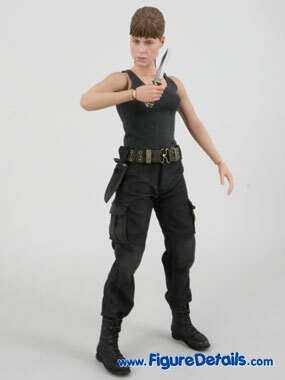 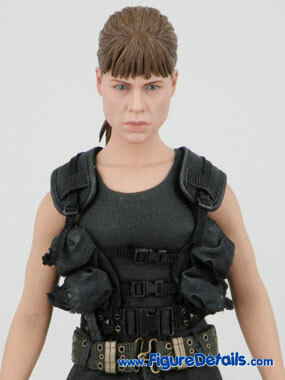 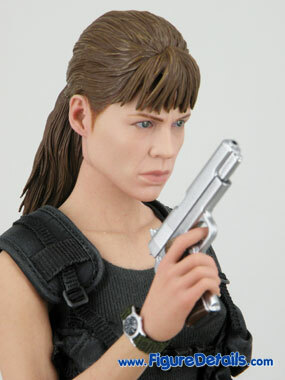 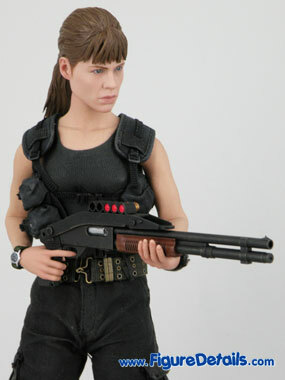 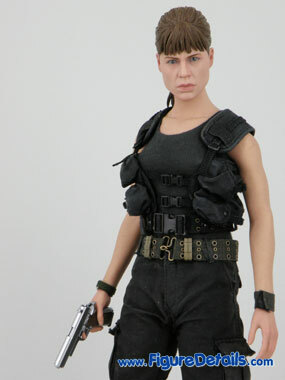 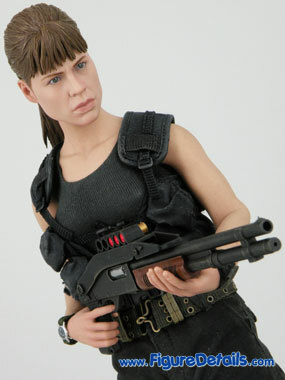 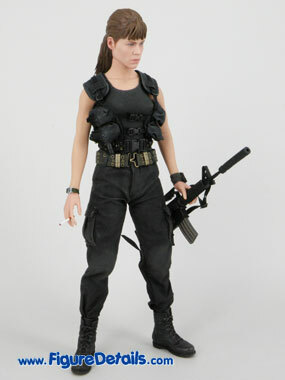 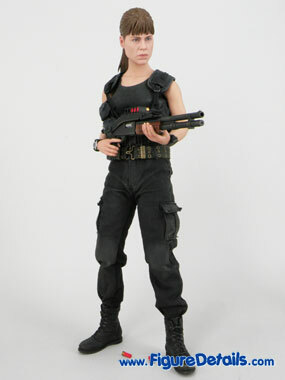 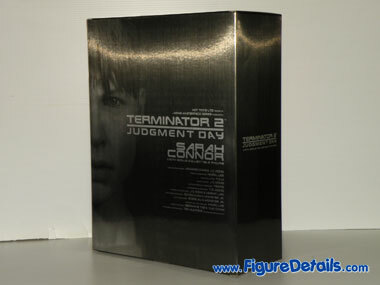 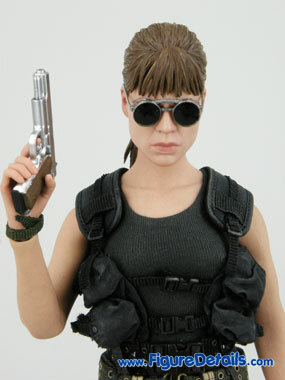 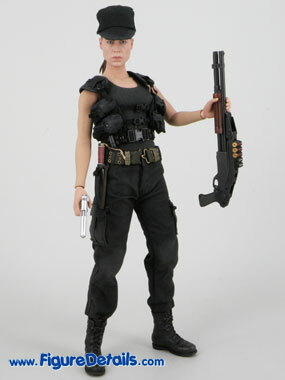 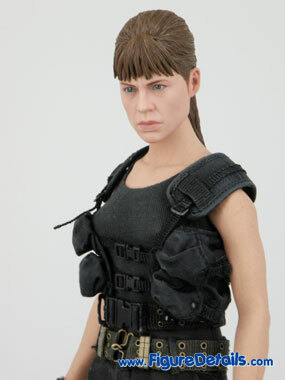 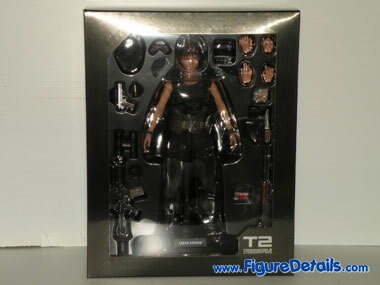 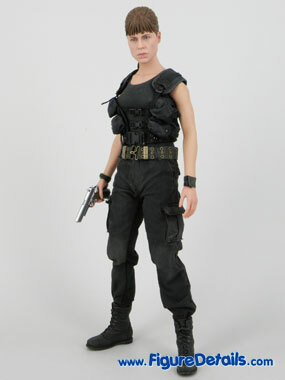 Also, Hot Toys provides all (I think) Sarah Conner used weapons that are on Terminator 2 movie. 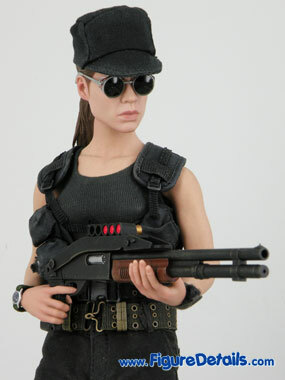 Just one thing, the cap is not well fit. 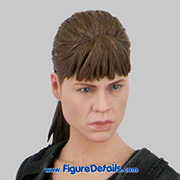 How about the Sarah Conner head sculpt? 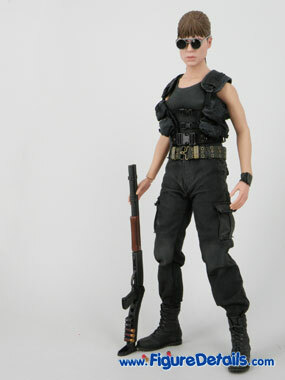 I will give you more photos on next page.